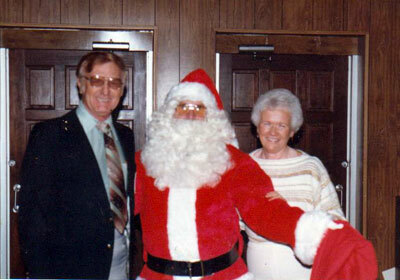 Orange Park Service was founded by Bill Williams in January of 1972. Bill served 20 years in the United States Navy and retired in 1965. After retiring Bill went to work in the pest control industry, learned the business from the ground up, and became licensed in 1968. Bill started off by purchasing the former Harris Fuel Oil company in January of 1972. Harris was located at the company’s current site on Blanding Boulevard in a small old service station building complete with a garage stall. 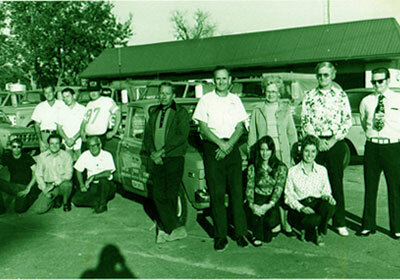 In its early days OPS was a full service pest control company and delivered home heating oil during the winter months. As the Orange Park area grew, OPS grew with it. 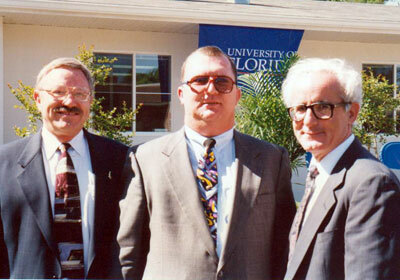 The Blanding location was renovated and enlarged several times until it became what it is today. Eventually, the oil distributorship was discontinued. We lost Bill in July of 2008. His son Jerry took over operations of the company. Jerry, a Jacksonville native, grew up in the Cedar Hills area on the west side. Jerry’s wife, Barbara, another Jacksonville native, is also involved with the company. Barbara hails from the Springfield area of downtown Jacksonville. The company name was changed to Orange Environmental Services (Orange) in January of 2011 to better reflect our commitment to protecting our customers home and business environment. Jerry passed away in November of 2012. Barbara now owns and operates OES. Shawn Parrish is the General Manager, Joshua Scott is the Certified Operator & Service Manager, Jason Zicarelli is the Sales Manager and LaDonna VanVaerenbergh is the Controller. Over the years, pest control service has greatly changed. Products are much more selective, and the once traditional monthly service is no longer necessary. To reflect these changes Orange now offers quarterly pest control service that is primarily done on the outside of your property. It is effective and environmentally safer. Of course it is guaranteed so any required retreatment is complimentary. Termite control has also undergone marked changes, due mainly to the elimination of many established treatments in the late 1980s. We now offer Sentricon Always Active by DOW. Always Active is a termite baiting system that only has to be inspected once a year. The Always Active system is registered under the Reduced Risk Pesticide Initiative of the U.S. Environmental Protection Agency. It also has received the Presidential Green Chemistry Challenge Award. Orange now offers complete lawn and ornamental service alongside our well known pest management services. We offer lawn pest and weed control along with fertilization. We also provide lawn maintenance and landscape services. If you would like a fresh new look to your landscape we can help with design, sod and plant selection and can install it for you. Orange continues to grow and thrive. We are proud to be a second generation family owned business, and we are proud of our other "family," our Orange Environmental Services team.